A beautifully lit, airy bathroom. In terms of the National Building Regulations Part O, all habitable rooms, including bathrooms, showers and toilets (and interestingly enough garages!) must have some form of lighting and ventilation that will enable people to use these rooms safely. The most important aspect is that it shouldn’t be detrimental to the health of those using the room for the purpose for which it was designed. If bathrooms are cold and perpetually damp, mould will start to form, and this can make people extremely ill. It will also make the room uncomfortable. Changes to Part O of the NBR (when the legislation was updated a few years ago) include a welcome move from WC (short for water closet – and a very Victorian term) to “toilet”. There are also quite substantial changes to this section of the regulations. While the lighting and ventilation regulations are generally “deemed to satisfy” if they quite simply meet the requirements of SANS 10400-O, the NBR states that if there is not sufficient natural light from windows in habitable rooms, as well as corridors, lobbies and on staircases, artificial lighting MUST be provided. the use of thick, patterned or opaque glass for windows, which prevents natural light from illuminating the room. Similarly, if there is insufficient ventilation, artificial ventilation MUST be installed. the purpose for which the room is used may make natural ventilation unsuitable or inadequate. While the Act states that, “Any habitable room in any dwelling house or dwelling unit, or any bedroom in any building used for residential or institutional occupancy” MUST have at least one opening for natural light – even if there is artificial lighting. It doesn’t matter where in South Africa you live, any artificial ventilation system MUST be authorized by your local authority (council or municipality, or City) according to their own specific policies and opinions. This applies to everything other than regular air conditioners and other appliances installed essentially for comfort. Further, the “rational design” of any artificial ventilation system must be performed or supervised by an “approved competent person”. In addition to the general requirements in this section of the Act, all lighting and ventilation must also comply with Part T of the NBR, a very lengthy section that deals with fire protection. Part O of the “new” SANS were published in January 2011 after fairly substantial updating by the SABS in collaboration with Agrément South Africa, the South African Institution of Civil Engineering (SAICE), and the South African Refrigeration and Air Conditioning Contractors Association (SARACCA). requirements for designated smoking areas and smoking rooms. The SANS specify zones of space for natural lighting which are guidelines that should be adhered to. These relate not only to the measurement of openings, but also to the angles of openings, and they specify how various obstructions affect zones of space. Generally, natural ventilation should be organized so that doors and windows relate to one another in such a way that the room will be effectively ventilated, and it should be at least five percent of the floor area of the room (or at least 0,2 square metres if the room is very small). But anyone designing a home also needs to take into account the fact that in cold, wet or windy weather, doors and windows will commonly remain closed. This will minimize natural ventilation. In holiday homes, or buildings that people only use occasionally, doors and windows will usually remain closed for long periods of time. Where weather conditions are very hot and humid, the interior of the building may become damp and mouldy. Airbricks built into the structure help; as do roof vents that provide permanent ventilation, even when doors and windows are closed. The simplest and most common form of artificial ventilation is found in kitchens and bathrooms, in the form of extractor fans. Extraction in kitchens (from stoves and hobs) not only removes heat or steam and other vapour, but it also has the effect of removing grease that is in suspension, by filtration. Because the greasy air being removed is hot, the regulations state that extraction units must be manufactured from non-combustible material. 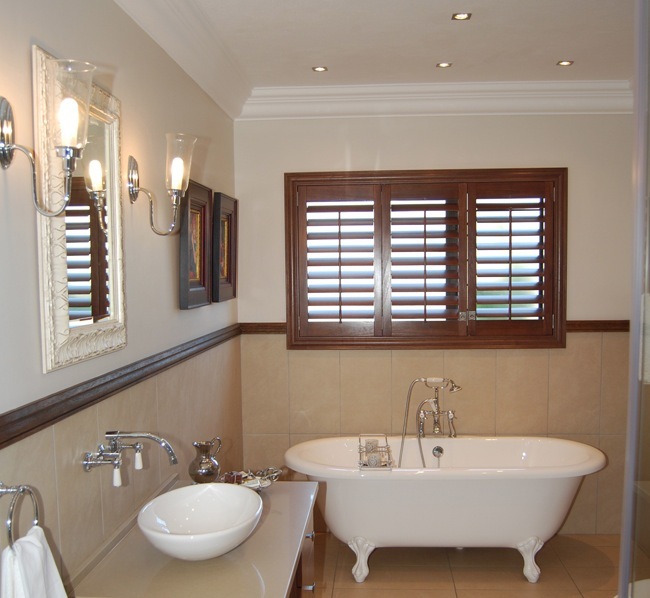 In bathrooms and toilets, extractor fans remove humid air and filter bad smells. SANS 10400-O contains a useful table that shows the minimum requirements for air, per person using the room. Again it is the health and safety of inhabitants that is vital. Where rooms are used for smoking, a considerably higher supply of healthy air is required. All bathroom doors in public buildings have self closing mechanism. Is there a law that requires public a bathroom door to the common areas to be closed? Is 300x 500mm window sufficient ventilation for a public bathroom containing 2 toilets or must an extractor fan be installed? In terms of your first question – I am not aware of anything in the NBR that requires this. There may be some other law or bylaw that covers this. (1) Any habitable room, bathroom, shower-room and room containing a toilet pan or urinal, or any room which is a parking garage shall be provided with a means of lighting and ventilation which will enable such room to be used, without detriment to health or safety or causing any nuisance, for the purpose for which it is designed. (2) The requirement of subregulation (1) shall be deemed to be satisfied where the lighting and ventilation are in accordance with SANS 10400-O. There are also specific air requirements in the SANS, but quite how you work it out in relation to window size I don’t know. The Occupational Health & Safety Act is also applicable in public buildings. You might find that the self-closing clause is there. I live in a two bedroomed flat and have just discovered there are no air bricks in the walls. Mould builds up on the window frames and pane due to condensation. Yes I could keep the windows open but it does get cold. Is there no regulation of air bricks esp in a bedroom with only one window ? I need more information with regards to extraction within a basement parking of a building when taking exhaust gasses / carbon monoxide into consideration. Does anyone know where I can find more information about this issue? There may well additional SANS that cover this. Contact your nearest SABS office with library to find out. They are usually very helpful. Hi, I have recently rented an apartment only to find that there is no external lighting. Please can you confirm what the building regulations are regarding residential external lighting. Is it mandatory to have external lighting for perhaps safety purposes? Your assistance will be highly appreciated. This is not a National Building Regs issue. Contact your local authority; it may be covered in the bylaws. But I doubt it is mandatory. I own a one bedroom unit on the 7th floor facing east. It only has opening windows on the east facing side. There is no cross ventilation ie there are no openings on the other three walls. Consequently the unit is very stuffy and hot in summer. Plus kitchen smells are not dissipated. Complex regulations do not allow aircon. I have installed ceiling fans with partial relief. I wish to quote the regulation that will force the complex to allow me to make a suitable opening in the opposite wall (West wall) which opens into a wide passage well ventilated and in this way provide cross ventilation and remove the hot air. It has always been my understanding that cross ventilation (Even just airbricks) was mandatory. Funnily enough I don’t think air bricks have ever been mandatory – though they commonly been used to ensure there is adequate ventilation. However. If there is not sufficient ventilation in the building, then it contravenes the National Building Regulations. Since the so-called “competent person” responsible for ventilation for any building is (in terms of the NBR) a qualified and registered mechanical engineer who has the necessary experience and training to “undertake rational assessments or rational designs in the field of lighting and ventilation,” you could consult a mechanical engineer and ask for a report that would allow you to do whatever is necessary to ensure proper ventilation. The regs cover natural and artificial ventilation. For natural ventilation to be adequate, openings must not be less than 5 percent of the floor area of the room. There are other requirements as well. If natural ventilation is not adequate then an artificial ventilation system which will circulate air through a room “by means of a mechanical apparatus which forces air into or extracts air from such room” is mandatory. So for them to disallow aircon seems ludicrous. Hi good day i need some information regarding the fans that gets fitted in bathrooms.I have a client that wants to know why i have to fit an 5amp plug with in 1,5m from the fan, can you please help me out with information and can you provide me with the bylaw from Sans so i can liase with my client.Hope you can help me thank you Anthony Hine. You need to contact the SABS and ask for information regarding which standard covers bathroom fans. Alternatively contact a supplier. This is not covered in the building regulations. 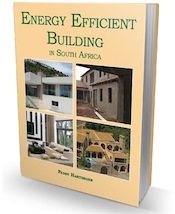 Further, the SABS does not write bylaws – they prepare, publish and sell national standards (SANS) and in the case of SANS 10400, these are guidelines that indicate how we can “satisfy” the requirements of The National Building Regulations and Standards Act.